Novelist, memoirist, and religious writer, Mary Gordon delivers a book of fine insights to one of the key authors of the contemplative religious life, Thomas Merton. Don’t expect a biography here; for that we have Merton’s own The Seven Story Mountain autobiography and Monica Furlong’s Merton: A Biography (1980) and the more recent Wyatt North’s Thomas Merton: A Life Inspired (2016). What Gordon presents instead is a penetrating and well researched study of Merton’s motives and methods for writing. Nor is this book an “introduction” to Thomas Merton, the monk-writer. This is a fairly scholarly study with occasional personal detail on Merton’s relationships with other writers and with himself as a monk-author. Though author Mary Gordon’s parents were friends of Merton, she admits no personal relationship with the man. She does uncover his often tangled relationships with such celebrated others, as Britain’s Evelyn Waugh and Poland’s Czeslaw Milosz. Both offered early advice on Merton’s writing style and method, and he repaid them with sought insights on the act of a contemplative practice. We see Merton’s friendship with Milosz develop later in the 1960s. Merton complains of his double censorship, first by the Catholic Church and then by the secular publishing world. It is a road he blazes nevertheless, while remaining loyal to both audiences as seen in his numerous books of poetry and creative prose (most published by New Directions Publishing) and in his religious examinations done through the Catholic publications. Thomas Merton’s cultural and spiritual commitment is made clear here. As fellow author James Carroll accurately points out, “Gordon is the ideal reader of Merton, matching his intelligence, irony, and authentic feel for the world beyond words. 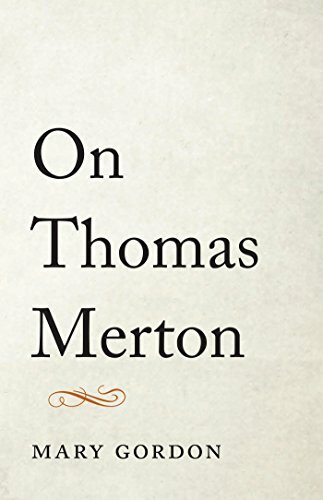 Her book brings his books back to life, and belongs with them from now on.” If Merton is to remain a living voice, it is from such honest and steadfast devotion as Mary Gordon’s On Thomas Merton.